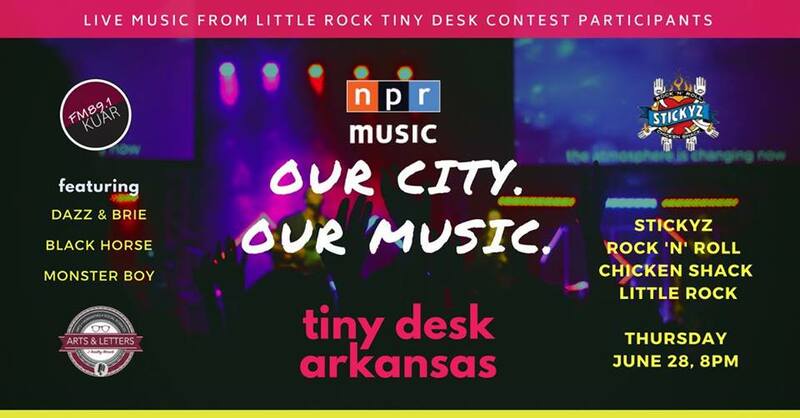 KUAR FM 89.1 and Arts & Letters Radio will host “Tiny Desk Arkansas” a live music fundraising event on June 28 at Stickyz Rock ‘n’ Roll Chicken Shack in Downtown Little Rock. 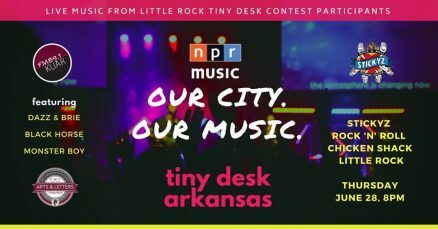 The event benefits KUAR and Arts & Letters Radio. The show will be mc’d by KUAR News Director Michael Hibblen.